Growing up is tough in the 21st century. On the one hand kids have more treats and freedom in many ways than previous generations. Yet the one thing they arguably have less of is confidence. Some kids are certainly shyer than others. The internet may have made the world smaller in some ways but it seems like a big place when you focus too much on screen-related activities. It doesn’t help with a kid’s confidence levels either. So why not consider the idea of suggesting a martial arts class for your child? 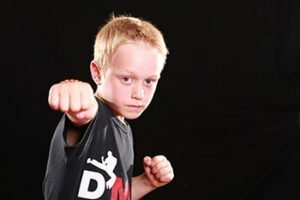 It’s a great introduction to the wider world of martial arts and it means your child can meet lots of other kids the same age as well. Once they learn a variety of martial arts movements they will build their confidence without even realising it. Kids can lack confidence for all kinds of reasons. However the trick is to turn things around so your child can start building confidence that will pay dividends as they progress through their childhood. A child may feel shy and withdrawn if they feel they don’t have any control. By learning some basic martial arts moves (and how to master them) they naturally build their confidence. They start to learn what they are capable of. They start to look at the world around them in a different way. Remember too that instructors are experienced in taking classes of children and teaching them the basics of martial arts. Many of our pupils go on to more advanced classes as they learn. They’ll very likely change for the better as they start learning more about martial arts and they can master them. When confidence is at a low ebb, this is one of the best and most productive ways to change that.